I joined my son and his girlfriend on a day’s outing to find a dog to adopt. Val, Justin’s wonderful adopted chow, died 7 months ago. The healing has taken place and they are both ready to take on a new creature. We went to the North Shore Animal League and Manhattan’s ASPCA. It was probably the most emotionally draining, difficult day I have spent in a very long time. 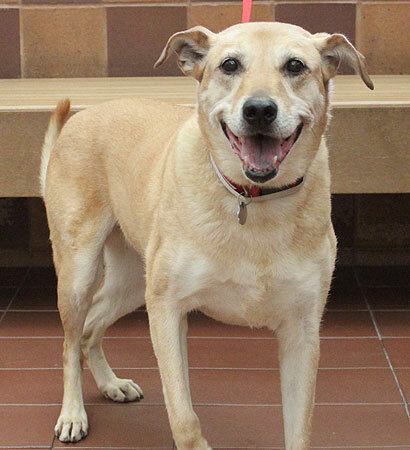 Sandy, above, is 13 and a mixed lab breed. 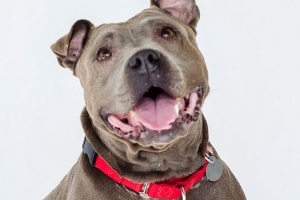 She is sweet, healthy and, like all of them, simply needs some TLC. I have Oliver – most of you know him buried under leaves or snow, always with his ball – and Max, the cat, who is a “high rise” cat. 7 years ago he went out the window and dropped 5 flights, a fall that earned him very expensive titanium back legs. One more animal to love and care for? The loving is easy but the caring is more difficult and certainly more expensive. I demurred and came home, heart broken and still considering. 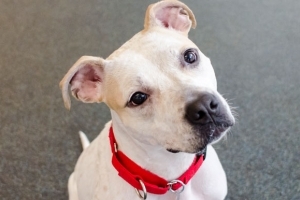 Because we are in New York, we have a large number of pit bull mixes. I am a little afraid of them but America and Baby, above, with gentle dispositions, are beloved by all the ASPCA volunteers. And then there was Ona, a chihuahua whose owner died a week ago, and who simply cried. And so many, many more. We have to take care of the forgotten. Oliver and Max may well have to share their home with someone else. And, as always happens in life, we’ll get on with it, and certainly all be happier for the effort.